John C. Reilly « Midlife Crisis Crossover! 1. My son and I really, really liked it the first time we saw it. This is the first year for new Pixar and Disney Animated releases in which we liked the Disney film better. 2. We had free passes. * A sign in Tapper’s bar reading, “Now Hiring Waitresses”. * An autographed photo of Fix-It Felix Sr. bearing a strong resemblance to Alec Baldwin. 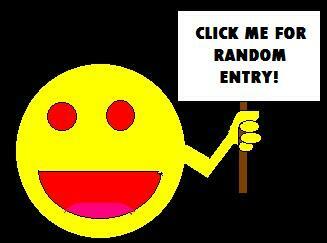 * The monsters from Rampage standing on a street corner outside the Niceland apartments, just staring and drooling. * A traffic jam outside the terminal whose gridlocked commuters include the Moon Patrol rover, the OutRun Ferrari, an Armor Attack polygonal tank, an ExciteBike, and Nathan Drake in a Jeep. All sport the same license plate: “RIP G4”. * A Grand Theft Auto thug being arrested by Mappy. * A terminal convenience shop run by a Moogle and selling movies on DVD with titles such as Citizen Liu Kang, Disney’s Knights of the Old Republic, Wolfenstein 3D in 3D, and Galaga vs. Gyruss. * A sidekick barbershop quartet with Clank, Daxter, Sparx, and Luigi. * Pac-Man throwing a fit at Felix’s party because all the snacks are fruits, and for decades he’s been dying to have just one lousy steak. * An inter-game prison populated with Leisure-Suit Larry, PaRappa the Rapper, and E.T. the Extra-Terrestrial. * A political-activist poster advocating a unilateral ban on all Minesweeper mines. * Alternate end credits with the big-head Journey avatars singing the same thirty-second snippet of “Separate Ways” over and over and over and over and over and over and over and over and over and over and over again. …but I guess that’s what cutting room floors are for. Those, and the dreams of over-the-hill gamers who can imagine a film with three times the budget and none of the legal hassles. Important things first: Wreck-It Ralph is the best non-Pixar Disney film in years, proof positive that both divisions are up to the task of delivering solid results when the right talents are lined up and the marketing department is kept in check. The end credits confirm Ralph was wrangled by four different writers, two of which are omitted by IMDB — Jim Reardon and director Rich Moore, both veterans of the glory days of The Simpsons. (Of the other two, one, Phil Johnston, was responsible for last year’s indie Midwest comedy Cedar Rapids.) From where I sat, I couldn’t see the seams. 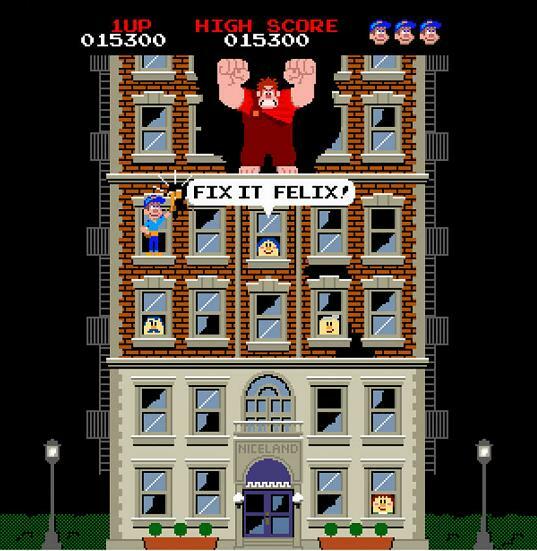 Academy Award nominee John C. Reilly is an unloved palooka who chafes in his day job as the villain of Fix-It Felix, Jr., one of several old-school cabinet games at Litwak’s Family Fun Center (elderly owner voiced by Ed O’Neill). Ralph’s major beef isn’t necessarily that he hates his job, but that he hates how shabbily he’s treated because he does it so convincingly. Even when Litwak’s is closed and all gaming characters are allowed to go home for the night, Ralph’s coworkers — the titular hero Felix (30 Rock‘s Jack McBrayer) and the townspeople he saves every day — relax and party in their high-rise apartment building while poor Ralph is forced to live and sleep outside on a mound of loose bricks. Perversely, in their neighborhood Ralph is the 1% and the well-to-do are the 99%. The manufacturer clearly didn’t program these civilians to recognize the sight of homelessness. This week saw the release of the first trailer for the next Walt Disney Animated Classic, Wreck-It Ralph, which promises to do for video game characters what Who Framed Roger Rabbit? did for cartoon characters — namely, see how many entertainment companies are willing to stuff theirs into the same clown car as their competitors’. Casual gamers should obviously recognize King Bowser from the Super Mario Bros empire. Anyone who doesn’t know Clyde from Pac-Man won’t be using the Internet to see this trailer or watching movies made after 1980 anyway. I like to think I made it to level 3 by recognizing a King Malboro from Final Fantasy X-up. The Wreck-It Ralph Theatrical Trivia Game stars Academy Award Nominee John C. Reilly (Chicago, Step Brothers), Jack McBrayer (30 Rock), Jane Lynch (Glee), Brandon T. Jackson (cruelly underrated in Tropic Thunder), and hopefully hundreds of video game voice actors. If Steve Blum isn’t somewhere in this film, then there’s no point to its existence.